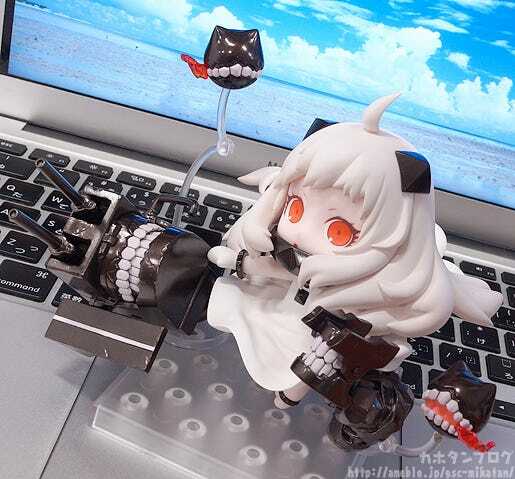 From the popular browser game ‘Kantai Collection -KanColle-‘ comes a Nendoroid of the Abyssal warship, ‘Northern Princess’! 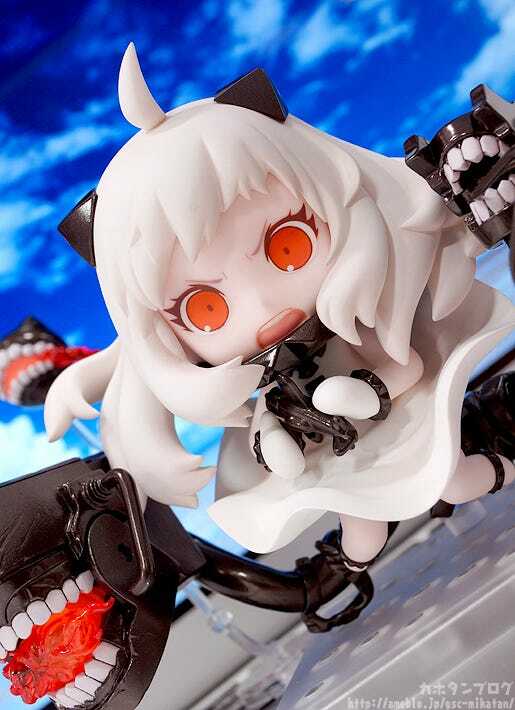 The enemy ship looks as adorable as ever, but don’t be fooled by her appearance – she is equipped with all sorts of highly dangerous weaponry which has all been faithfully recreated in Nendoroid size! the batteries on her main turret can even be moved by rotating the runway on the side! Optional parts include two of the rather peculiar aircraft that fly by her side, as well as the ‘Zero’ plane that she hold in her hands. 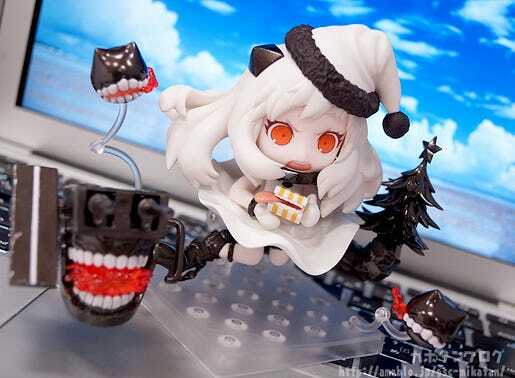 Additionally, she also comes with parts that allow you recreate certain parts of her special Christmas version that was seen during the Christmas event in December 2014. 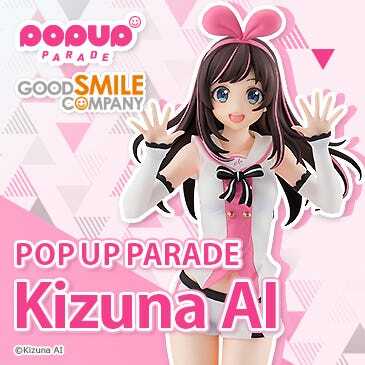 Three expression parts are also included – her standard expression, a shouting expression and a cute expression with upturned eyes. Various different parts and expressions to create the Northern Princess you want by your side! 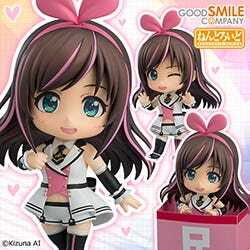 She also comes with three expression parts!! First up is this shouting expression! 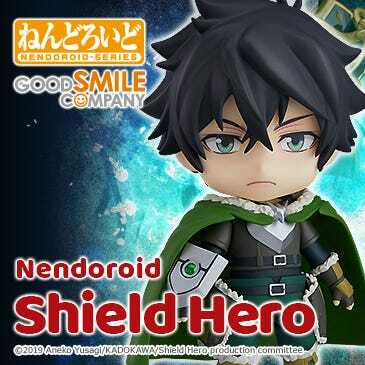 △Note the open mouth and cross looking mouth!! 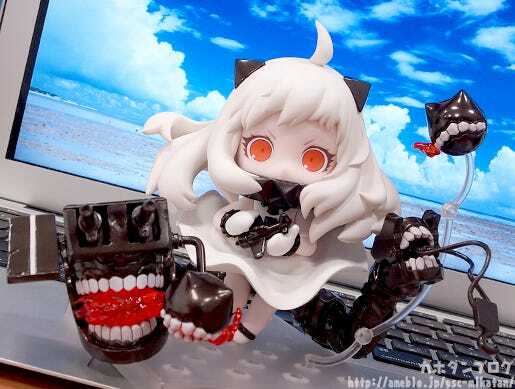 Scary and cute all at once! An expression that makes you think of one of her famous lines! 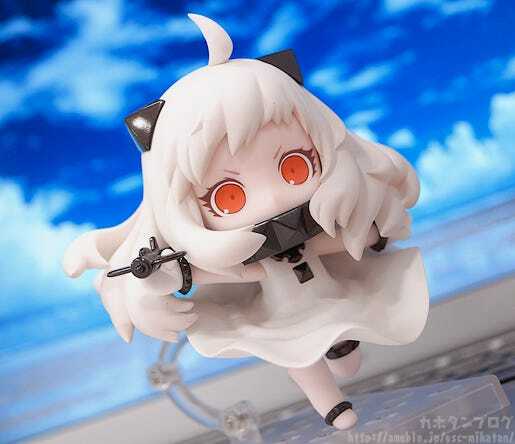 She may be adorable, but don’t underestimate her! 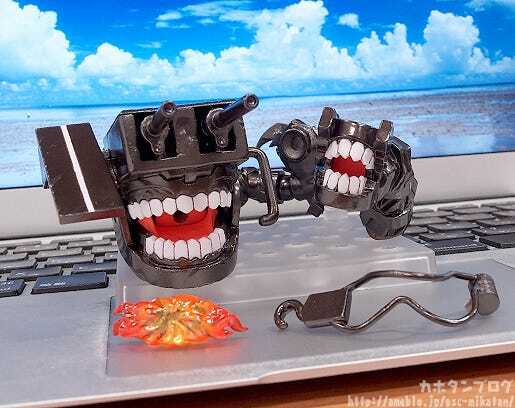 There have been many admirals who have suffered the wrath of her fire power… (´□｀｡) As I already mentioned earlier, she also comes with all sorts of ship parts! I’ll take a closer look at them in a bit! Hmm? The ship parts seem a little different now?! 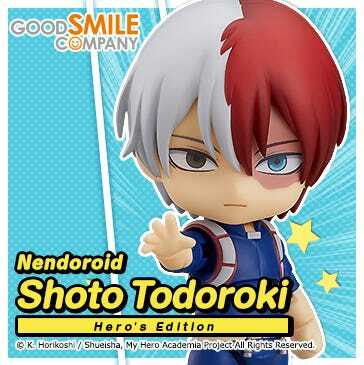 Each of the arrows in the above photos represents a Nendoroid joint and the areas surrounded by dots can also be moved! 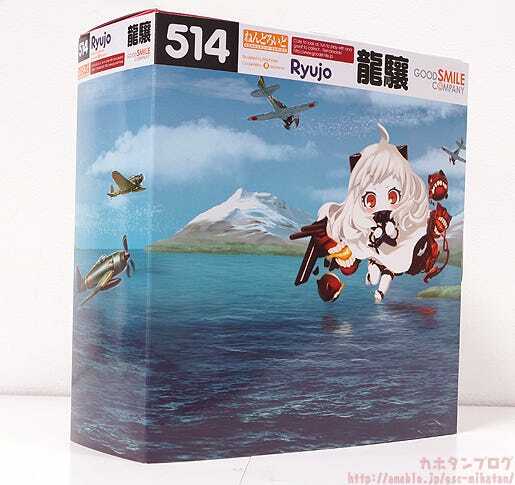 She can be posed in all sorts of ways just like her KanMusu counterparts! Any just in case you were wondering, these photos are only to show off the ship parts! Don’t go looking underneath her billowing one piece which has been faithfully sculpted! 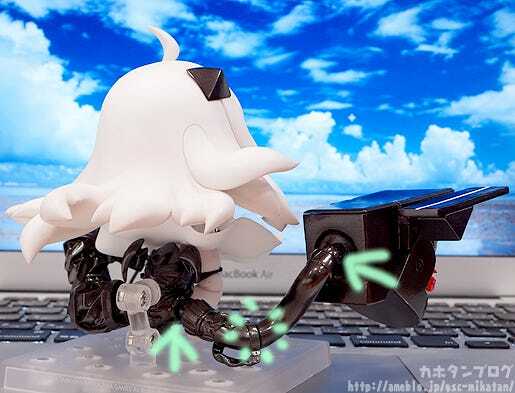 The runway on the side of her turret also features another little gimmick! If you rotate the runway the turret moves like so! The turrets are firing away at enemies!! 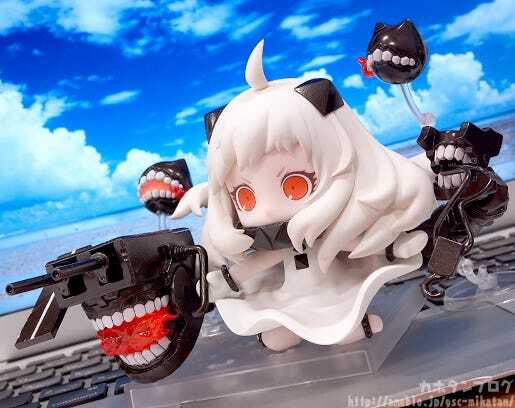 Plus as always, all the ship parts can also be removed if you want to display a much less threatening Hoppo-chan! 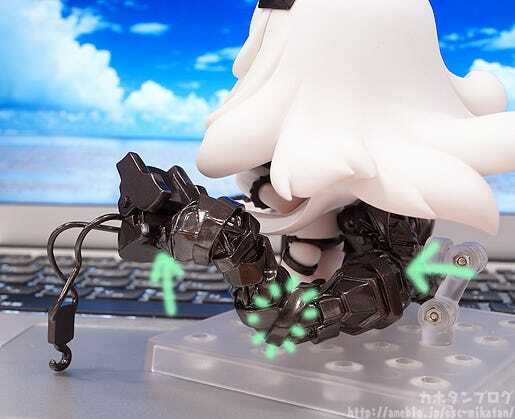 △The ship parts by themselves are rather… interesting!! 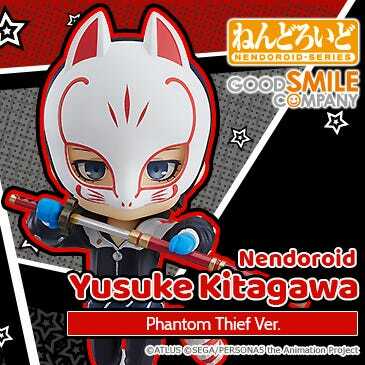 The mouth area can be opened and closed and the effect parts can be removed! 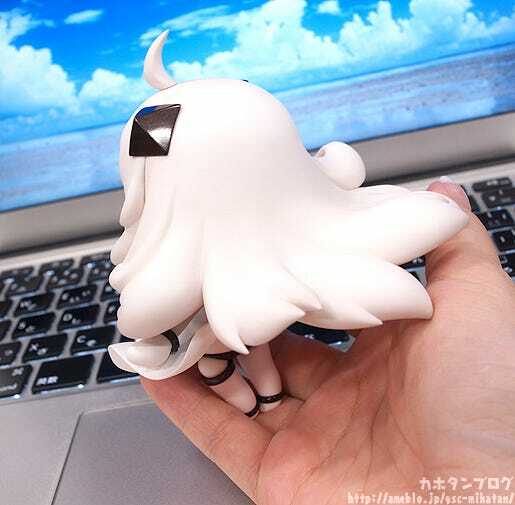 The small appearance is part of what makes her look so cute, but also note that her hair has some incredible volume… perhaps more than any of the previous Nendoroid Kanmusu! If you take a look at her from directly above you’ll get a good feeling for the space it takes up! You can’t even see her body any more!! 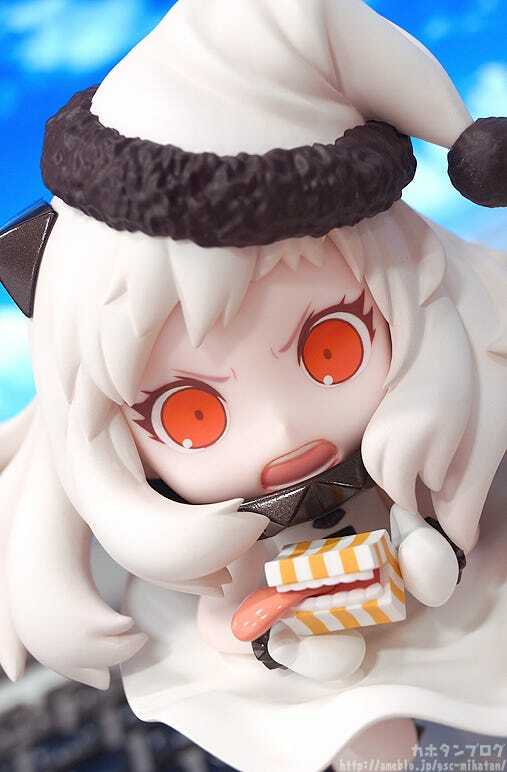 She comes with a hat and present part!! 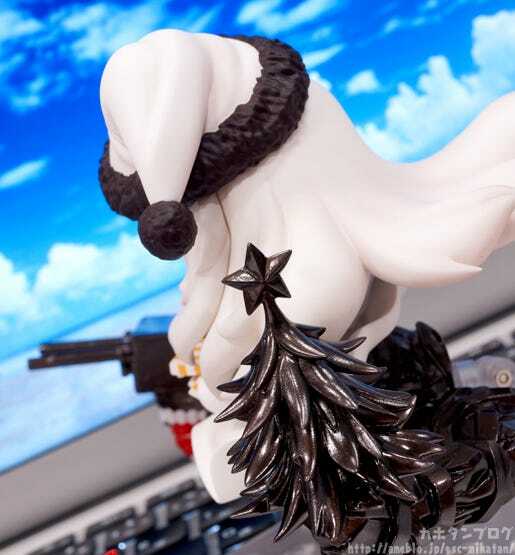 △ The Christmas tree is interchangeable with the standard part! 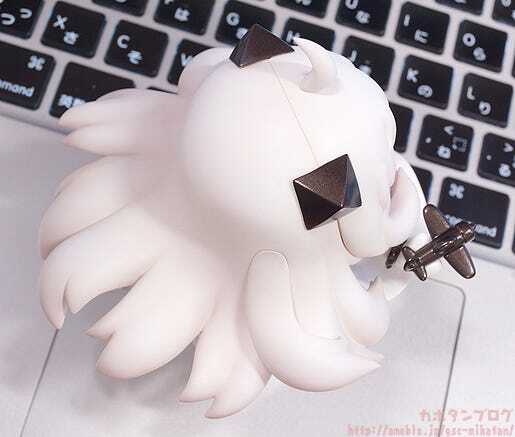 △ She would make a lovely Christmas decoration too! 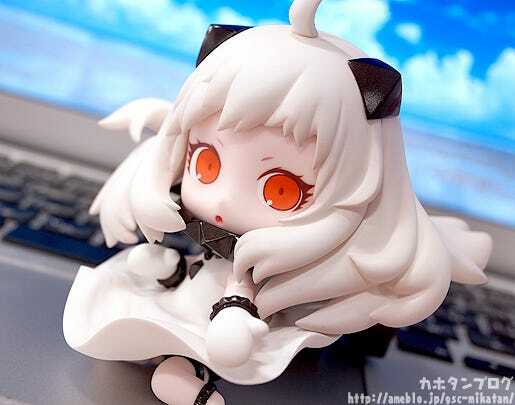 Now… another thing many of you might be wondering while looking at these photos is…how is is that some photos how Hoppo-chan’s mouth, and others hide it?? 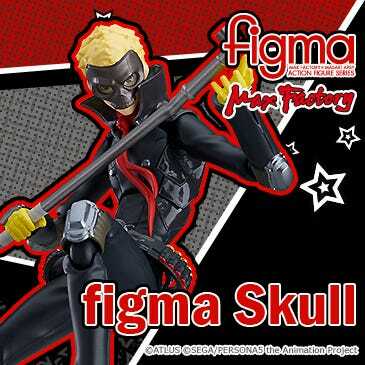 Combined with all the expressions and parts, this allows for so many different posing options!! 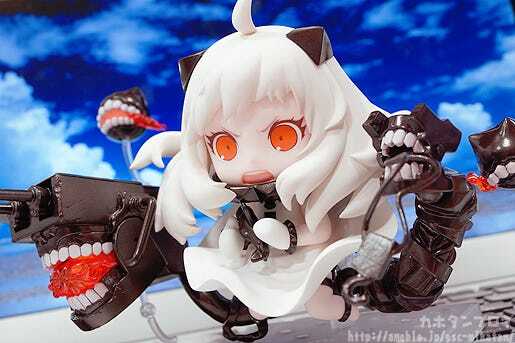 Be sure to add the cute Hoppo-chan to your collection and give her the love she deserves… I’m sure she won’t sink your fleet! 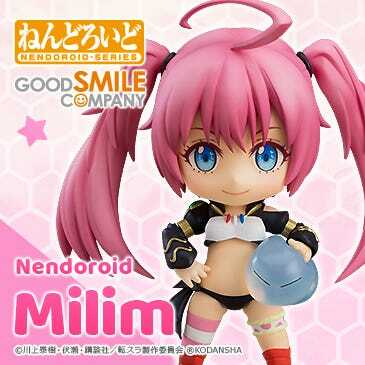 She’ll be up for preorder from the 24th July 2015! The box sleeve wraps around the normal packaging like so! 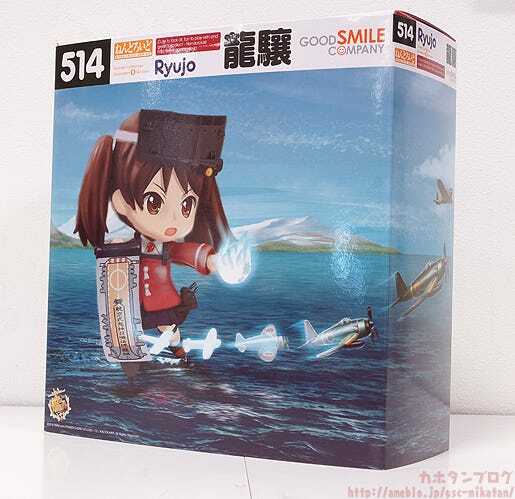 ※ The above is Nendoroid Ryujo’s Bonus Sleeve. Anyway, I hope to see you all tomorrow!